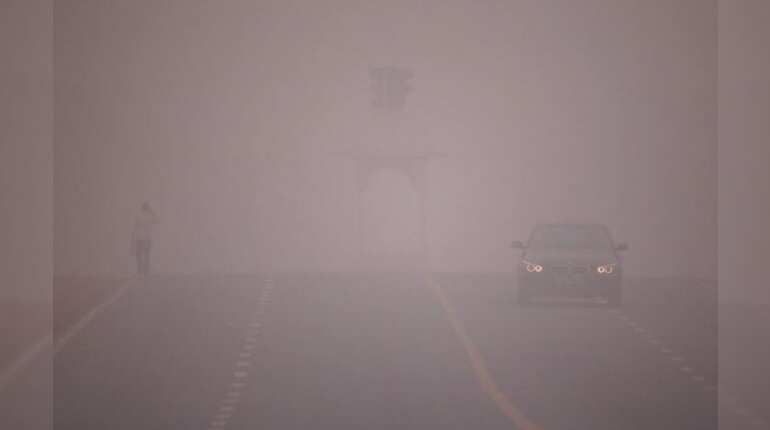 Representative photo: The cold wave sweeping Kashmir. 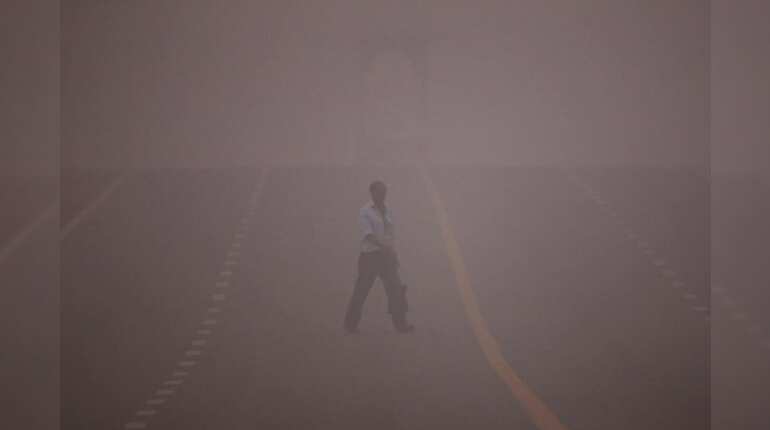 The reasons are numerous and include the burning of leftover crop stubble by farmers in north India and colder temperatures which cause something called 'lateral inversion'. The cold prevents air from rising, thereby trapping pollutants closer to the grounds. 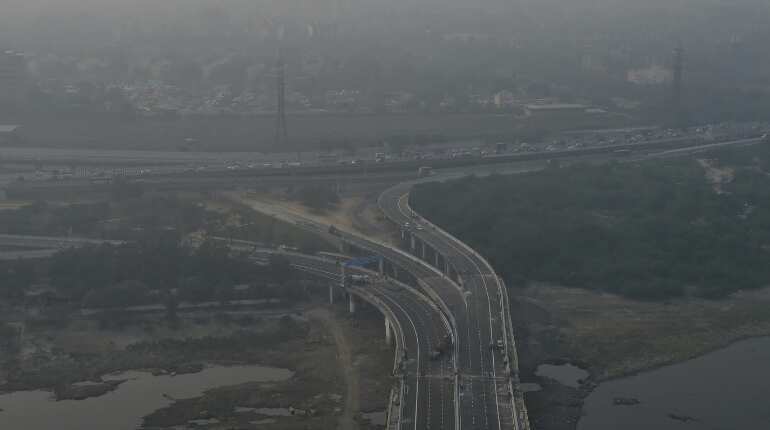 After a relatively cleaner Sunday — the result of higher wind speeds which pushed pollutants out of the city — pollution in Delhi rose sharply on Monday. 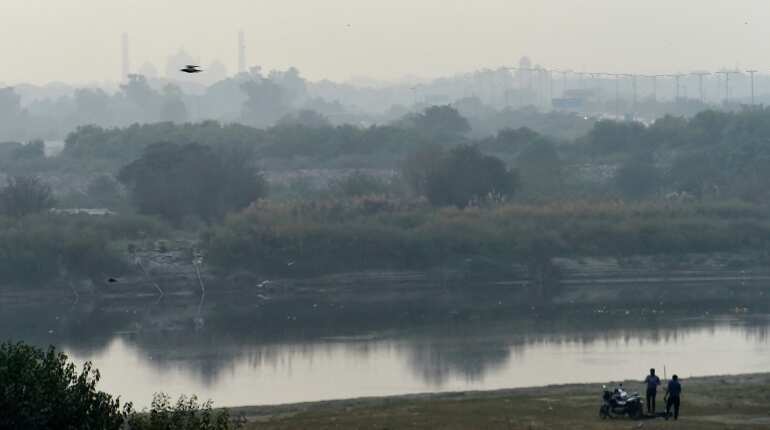 Doctors have said breathing in Delhi's air is akin to a 'death sentence' for people with lung and respiratory disease. 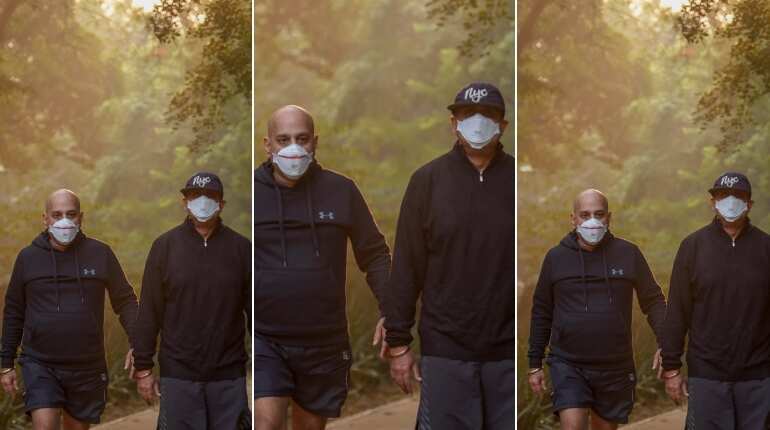 The sale of face masks obviously shoots up. This though is just beginning of the cold season. 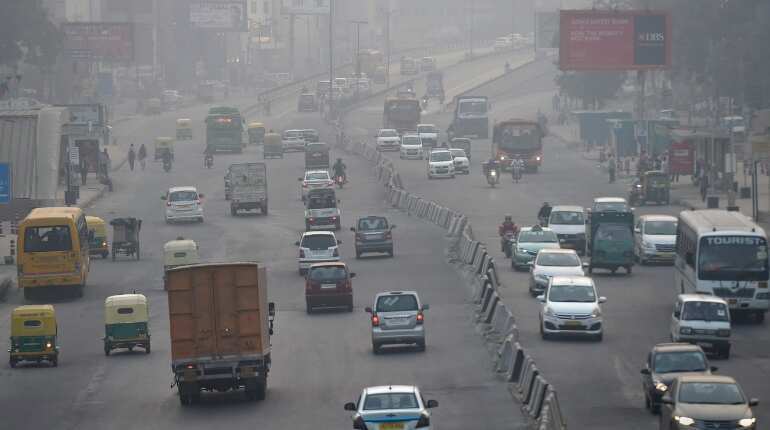 By the time, late December and early January come around, Delhi begins to look like something out of a movie set in a dystopic future. File photo: A car (right) and a man (left) are seen near a red light near Rashtrapati Bhavan. 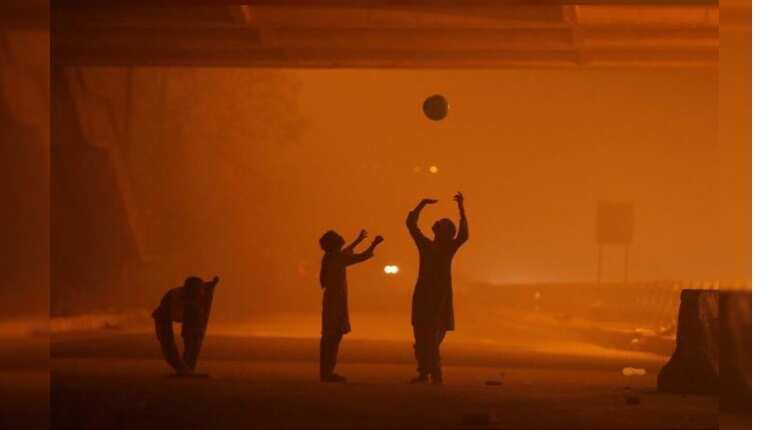 File photo: Three girls play under a flyover in Delhi on a winter evening.